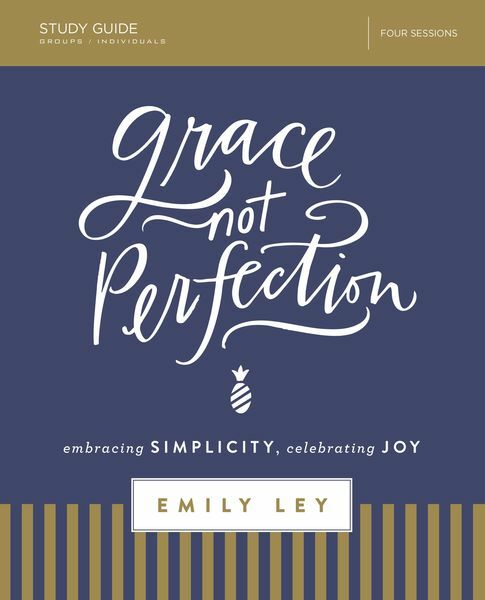 In this four-session video-based study (DVD/digital downloads sold separately), Emily describes the journey that led to her pursuing a simpler life–one that allowed her to breathe, laugh, and grow–and provides ways for others to simplify their lives. She reminds each of us that God abundantly pours out grace on us, and because of this, we can surely extend grace to ourselves. This message is for everyone who has been trying to do it all… only to burn out. Learn to find joy and acceptance in the midst of life’s beautiful messes. Designed for use with the Grace, Not Perfection Video Study (sold separately).